Home » Social Media » How To Increse Your Facebook Likes, FB Subscribes, Google Circles, Google + ,Twitter Followers Just in Few Seconds? 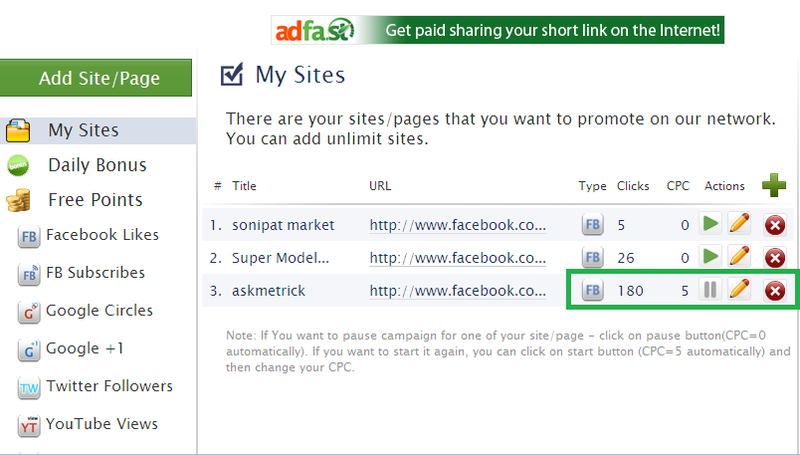 How To Increse Your Facebook Like,FB Subscribes, Google Circles, Google + ,Twitter Followers Just in Few Seconds? 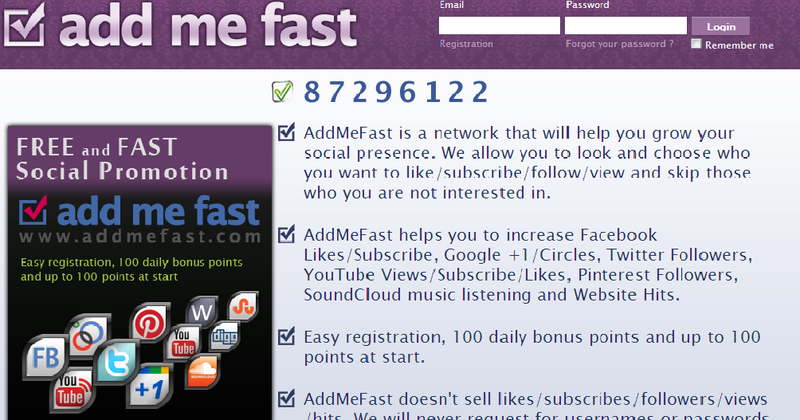 Addmefast is my favorite website increase social likes. So I will discuss in detail about this site. All other sites have the same procedure to do all this. 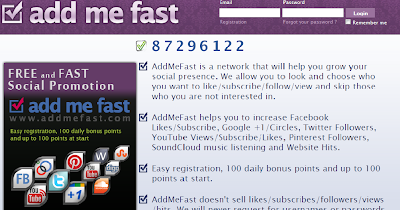 1: Go to Addmefast and login with your email after registration and not forget to confirm your email address. 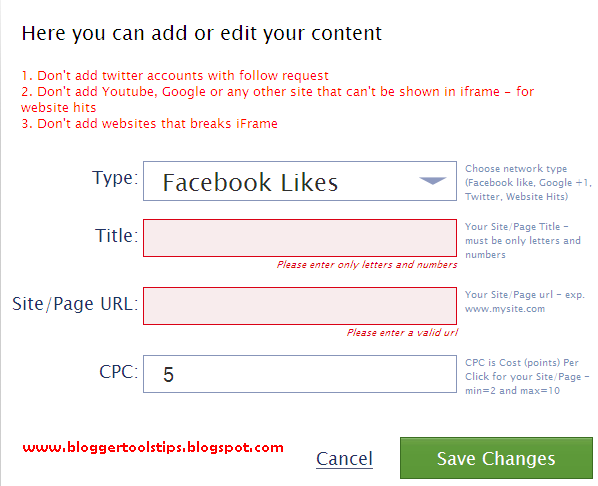 4: After submitting your Facebook Page you will start receiving new facebook likes. 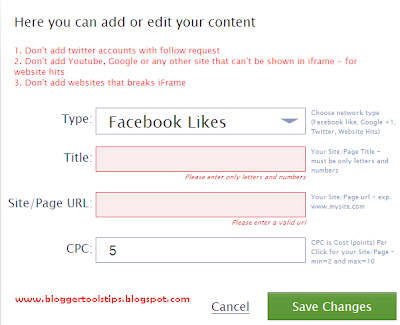 CPC are the points which will earn by others liking your page. 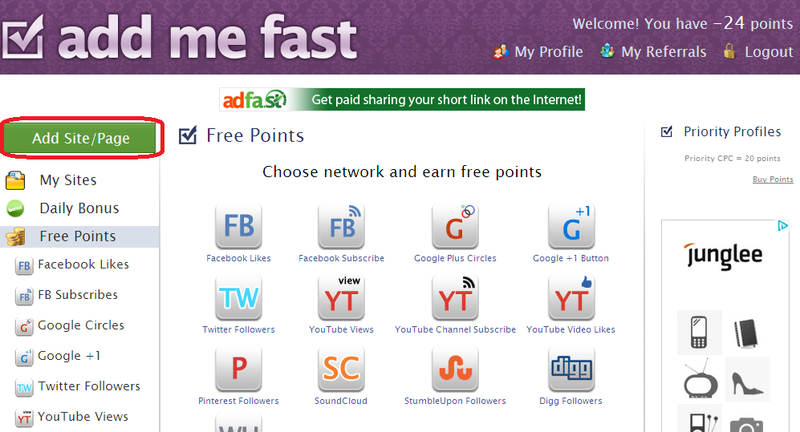 And you can also earn points freely by liking, subscribing, following and viewing other's pages or accounts. I will suggest you to keep CPC at 6. 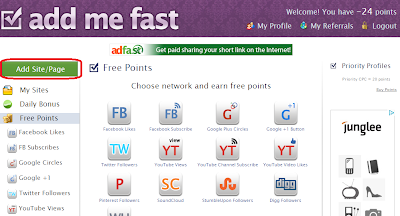 Folliwing are the all other sites like Admefast which can help you to Increse Your Facebook Like,FB Subscribes, Google Circles, Google + ,Twitter Followers Just in Few Seconds. Just signup and get started. 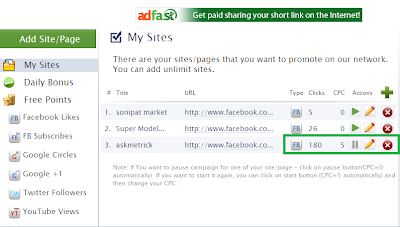 I will update these sites time to time by adding more sites like this.